April has been a heck of a month for Swirlydoos. We have had some product shipping issues that have seriously delayed kit shipping. Plus some website hacking issues. But when life give you lemons, at Swirlydoos we make margaritas. We have a sparkling new website. It's full of fun new features and we are having a great time test driving them all. Plus the April kits are being shipped and May kit add-ons have been revealed. Who doesn't enjoy getting back to back swirly kits, I know I don't? Without further ado, here are my projects from the April kit. I normally start with the sketch, unless I have a specific idea in my head for a layout. This months sketch was a beauty (I think I say that every month about the sketch). Here is the April sketch. 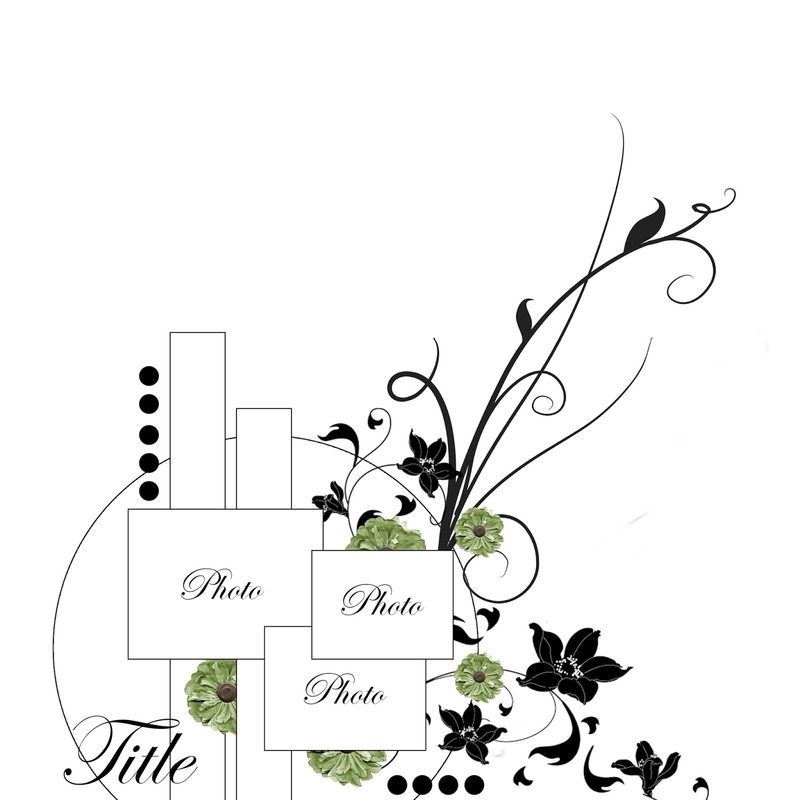 Here is the layout I created from the sketch. 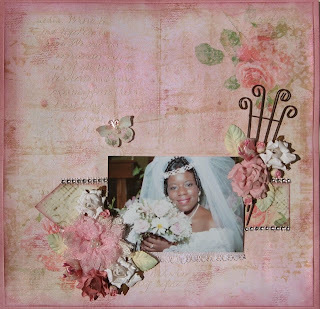 I used items from the main kit along with the flower and embellishment add-ons. 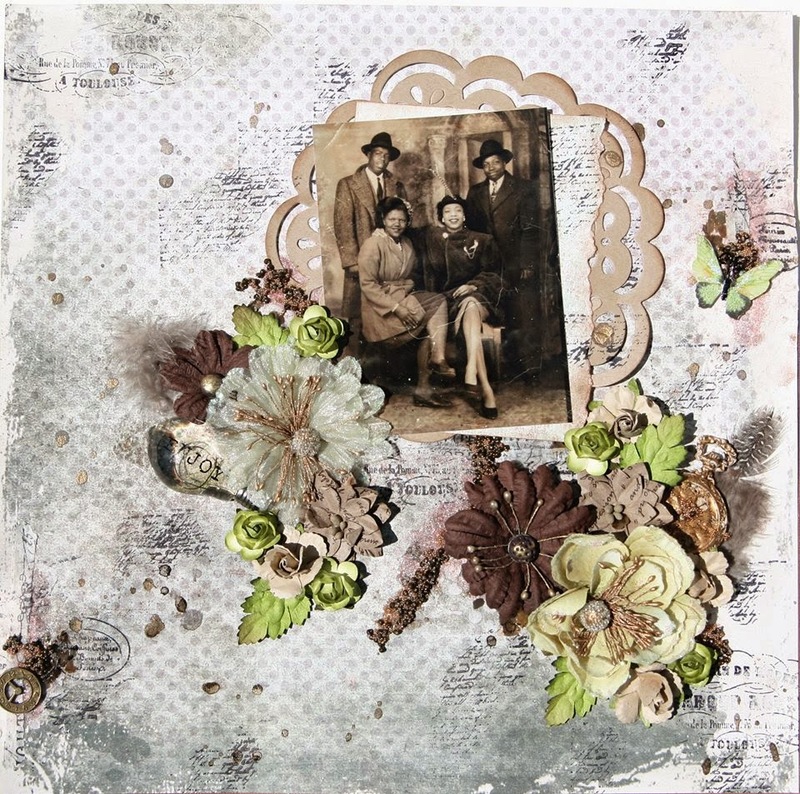 The resin, ribbon and picks are from my stash. This month was my turn to create the anatomy of a layout. So this next layout was created using only the main kit. There will be a step by step posted in the forums on how I created it. 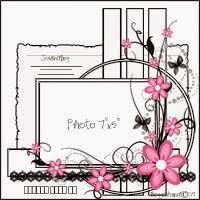 Next is a very girly layout, using lots of my signature color, PINK!! I used lots of the flowers from the flower add-on. The bling is left over from last months kit. Isn't that metal trellis just to die for? I did do some masking and a lot of misting on this layout. 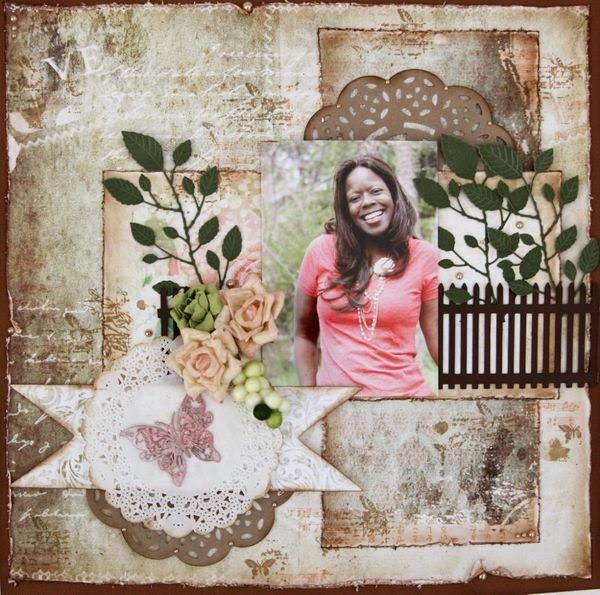 My last layout is a vintage layout. It's a photo of my dad and his sister with friends when they were teenagers. I cherish photos like this because I don't have a lot of them. I did a bit of stamping and used some micro beads on this one. The 2 large flowers are from my stash. 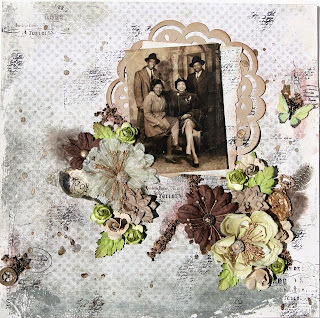 Thanks for stopping by and checking out my projects. 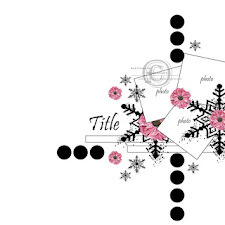 Remember, if you’re ready to start getting perfectly coordinated, top of the line scrapbook kits delivered to your door, please visit us at http://www.swirlydoos.com/. 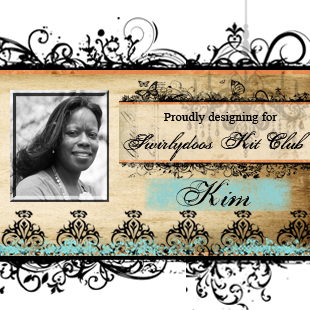 Mention my name (Kim Heard) when you subscribe and you’ll receive 10% off your first kit, AND a coupon good for 30% off your entire purchase in the Swirlydoos.com store! Gorgeous creations with this kit,Kim! 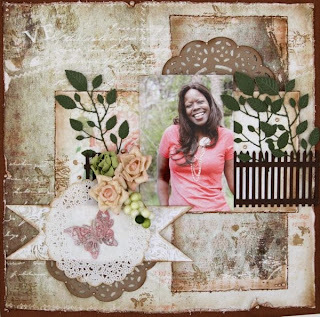 I absolutely love your vintage LO! That photo is awesome! 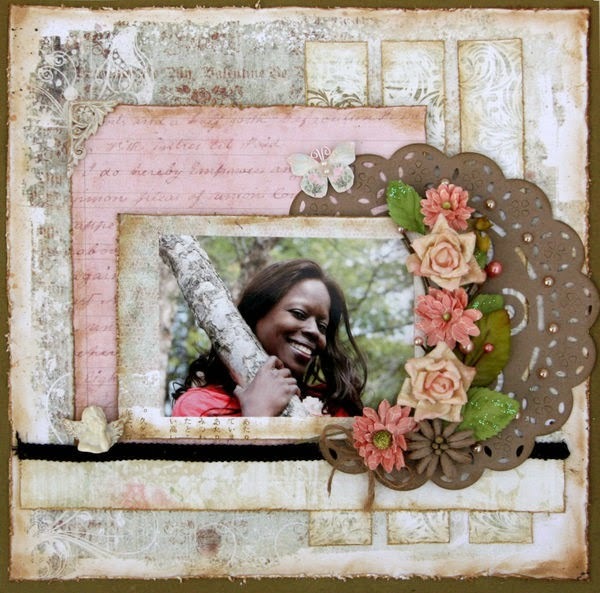 The sketch is a beauty this month, and your LO based on it is fabulous! Looking forward to getting this kit! These are all gorgeous Kim and I especially LOVE your sketch page. Awesome job!